This weeks Progressive Bass Wrap Up Show highlights some of the best events we brought you from the 2016 Tournament Season. 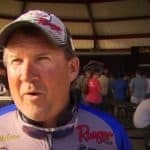 Highlights from the Texas Team Trail, Anglers Choice, The Bassmasters Classic, Warriors on the Water Event, the Big Bass Tour and the Carolina Bass Challenge. Tune in each week on the Pursuit Network to catch all the action!